Marketing-Qualified Leads: The prospect has demonstrated some level of interest or engagement that tells marketing this is a genuine lead. Sales-Accepted Leads: Sales accepts the lead and agrees to take action. Sales-Qualified Leads: Leads that have passed the point of qualification by the development team or sales, and are moving into an opportunity stage. 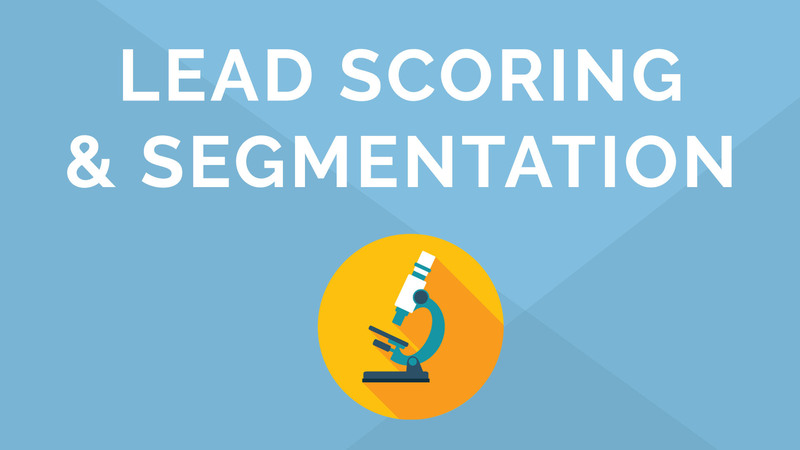 We’ll focus today on the nexus between the marketing-qualified and sales-accepted lead, as that’s the common ground for sales and marketing teams of all shapes and sizes. Sales and marketing must work together to develop this definition. Despite the best intentions, marketing often creates a qualified lead definition but sales never sees it – or agrees to it. Unless there is a clear definition and buy-in from both sides, the MQL stage won’t do much for your organization. Start with who your target audience is! Reference your target buyer personas in regards to their profile attributes as well as their buying cycle. When defining what a marketing-qualified lead is, it’s enlightening to sit down with individual sales reps and ask them: “What is a qualified lead for you?” or “What leads are the easiest for you to call into and qualify?” This doesn’t mean that marketing will have to agree to deliver only these types of leads, but it’s critical to get as close as possible to creating a lead definition that sales is going to be willing to work with. Choose factors that are well represented in your customer base already. Demographic and firmographic characteristics commonly used include industry, company size, location, and the buyer’s role, but you should include any factor that makes sense for your unique purposes. People leave digital footprints that show you what they’re interested in, and sometimes you can also see how urgent their issue is. Through observing buyer behaviors, you’ll develop criteria for which actions qualify a lead to speak to sales. For example, downloading certain white papers or attending specific webinars might be actions historically taken by leads who go on to buy. People who spend a certain amount of time on a pricing page and return to that page several times over the course of a day or two may be displaying a sense of urgency. Some organizations ask “Would you like to be contacted by sales?” on their registration forms to make it easy for a lead to self-identify as ready and willing to talk to sales ­– right now. If you construct qualification parameters that are too narrow, marketing may not be able to supply sales with enough leads to fill the pipeline. This is a critical part of the lead definition phase and may require some negotiation between sales and marketing. In some cases, sales will need to accept a broader MQL definition in order to fill the funnel with enough leads. Each quarter, sales and marketing should meet to determine whether the MQL definition should be modified. For example, if you’re launching a new product, you may be able to reach out to a whole new demographic. The hardest part of this process is usually just getting it done to begin with. But it’s a wise investment of time that will pay both teams back with better-qualified leads, shorter sales cycles, and more sales quotas met. In sales and marketing, the object of the game is to win new business. But you need to have strategies and processes in place between sales and marketing teams to win big deals. In our eBook, The Ultimate Lead Management Playbook, we will walk you through the building blocks of a winning lead management strategy that helps turns leads into revenue.